THE platinum market relies on supply and demand dynamics to support platinum price projections. On the primary supply side, the market is of the view that there is an increasing risk of declines in production from South African mines caused mainly by the decline in the US dollar (USD) platinum price and the ever-increasing cost of production together with a drop in reserves. The increasing cost of production of PGM (4E/oz) in Rand (ZAR) terms is, however, being offset in part by the depreciation of the currency and the significant increase in the rhodium price which doubled in 2017. Should the basket price continue its support then the decline in South African production could be delayed in the short term. On the demand side, the motor industry is adapting various technologies, which include battery electric hybrid, battery electric, fuel cell and fuel cell battery electric hybrid. 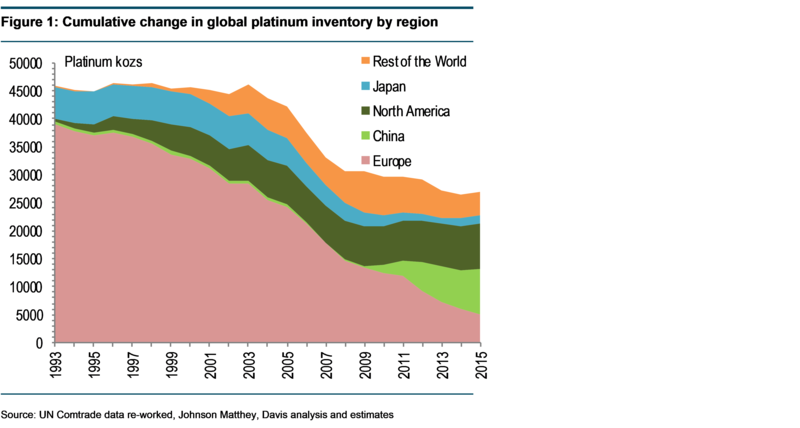 The market is of the view that diesel market share will continue to fall. The demand for platinum is, however, likely to be offset by an increase in the number of heavy-duty vehicle sales in China and India. (Note: I have excluded the industrial and jewellery markets from this discussion). In the short term, the market expects a marginal surplus of platinum and to move into deficit in the long term. What then does the role of above-ground stocks play in the equation? Industry experts have reported a range of estimates from 19 million ounces (mozs) to a low of 2.4mozs. The quantum derived depends on the definition of above-ground stocks. Some of these figures include exchange-traded funds, metal held by exchanges or working inventories of producers, refiners, fabricators or end-users, while others exclude these components. My data is based on the WPIC definition, which excludes these components and focuses mainly on vaulted investment stocks held globally. I argue in this long-dated review that supply-and-demand forecasts do not give a complete picture of the platinum industry. I am of the view that my estimates of imports and exports together with estimates of above-ground inventory, globally and by region, provide additional and important information, such as regional investment and working stock mobility, to take into account when forecasting market trends and the platinum price. My calculations imply that the working stock portion of the above-ground global inventory is large and refers to global exports. I estimate that the quantum of global working stock accounted for some 27% of global inventory (26.9mozs) or c.7.3moz, or some 1.2x of mine supply (6.1moz, JM) in 2015. This is compared to the quantum of global working stock, which reached a maximum in 2008, accounting for c.10.6moz or some 35% of global inventory (30.7mozs) or some 1.7x of mine supply (5.9moz, JM). 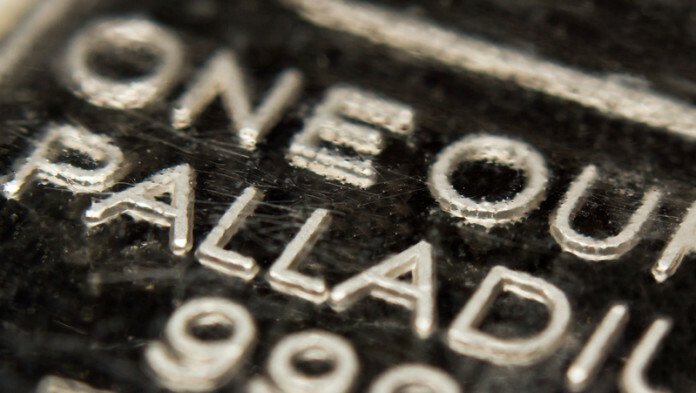 My research shows a relationship between the quantum of working stock and the platinum price. In my view, the relationship is not unexpected when taking into account demand and price dynamics. My research implies that regional destocking and redistribution of the above-ground inventory was substantial between 1993 and 2015, leaving Europe’s stock depleted, Japan low in stocks, while China and North America built up stock. Furthermore, the above-ground inventory in China is not globally mobile. The continued decline in the above–ground inventory in Europe may be regarded as the “Achilles’ heel” of the large estimated quantum of the above-ground global inventory (c.26.9moz). In this regard, the continued decline in the above–ground inventory in Europe may act as upside price risk as Europe seeks additional platinum supplies in the long term. It is important to note that c.85%, or 6.8mozs, of North American inventory was built up between 1993 and 2005 at rising average prices of between USD409/oz and USD896/oz. North American investors may well move some of their stock into the market, which will likely shore up the projected platinum deficit in the long term. It should also be noted that not all of the global stocks are available to the market, a situation that will likely present upside risk to the price in the long term. My data shows that the above-ground platinum inventory mainly held by investors is large, mobile and regionally distributed. In this short review I have shown that regional redistribution of platinum stocks will likely result in a fundamental change in the way the industry comes to grips with the effect the large quantum of global above-ground inventory has on the price of platinum. This, in turn, would obviously impact the decisions taken by the market. Furthermore, the review provides a link, the ‘missing link’, between an estimate of the quantum of platinum above-ground stocks and supply-and-demand data globally and by region. Based on supply and demand data, the market expects a marginal surplus of platinum in the short term and to move into deficit in the long term. My calculations imply that despite the large global above-ground platinum inventory, Europe will likely have to look to the market for additional stocks in 3 to 5 years when stocks are likely to become denuded. In this regard platinum prices are likely to remain weak over the next 3 to 5 years. In the long term the market will have to draw upon existing inventories to counter the projected deficits. My data implies that the market will have to draw mainly from North American inventories at a price. Under these circumstances I expect upward pressure on the platinum price. In this regard my analysis of above-ground inventory has been shown, in my view, to be an important factor when considering supply and demand dynamics to support platinum price projections. As my data identifies the quantum, the mobility and the regional location of platinum stocks. David has been associated with the South African mining industry and mining investment industry for the past 40 years, during this time he and has operated and managed numerous metallurgical operations, which included platinum, gold and uranium beneficiation. He was twice awarded a gold medal by the Mine Metallurgical Managers Association of South Africa for outstanding work in the South African mining industry. He has twice been ranked the number one Gold Analyst by the Financial Mail and ranked in the top three over many years.